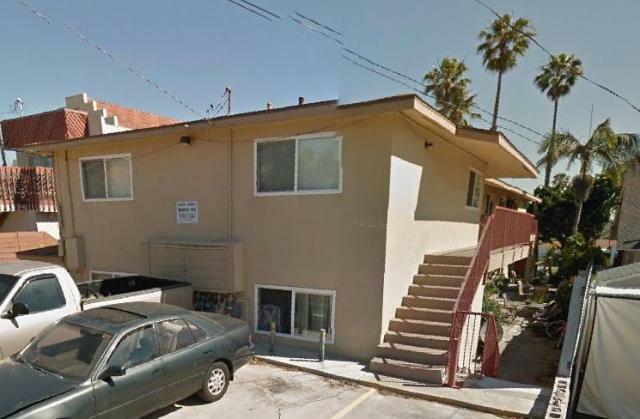 An 8-unit apartment complex with 2 stories at 4911-4917 Del Mar Avenue in OB sold just recently for $2.28 million, cash. 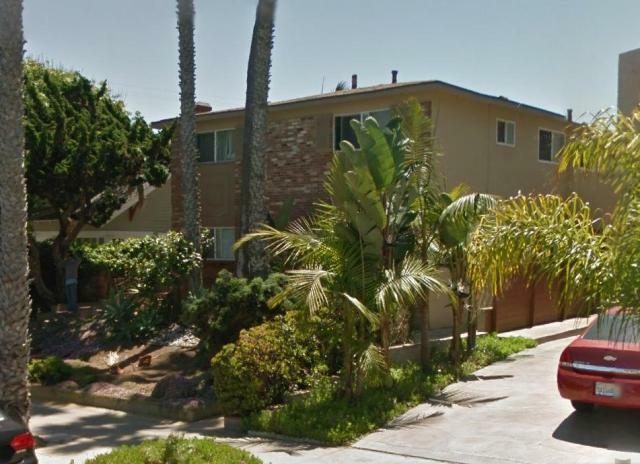 The 6,310-square-foot apartment, constructed in 1957 on a 7,000-square-foot lot includes 16 bedrooms and 8 bathrooms (assessor’s parcel 448-152-10). The buyer: The Mills Trust, with Marcie Matassa trustee, of 17 Roanwood Drive, Rolling Hills Estates, California 92074. The sellers: Frank M. Barrack II, Malcolm Edward Barrack, Regina Miriam Lourdes Barrack, Edward Anthony Barrack, Teresa M. Couri and Michael Joseph Barrack, successor trustees of The Barrack Family Trust. Last time it was sold was in November 1987, and it went for $565,000. It was confirmed at the most recent OB Town Council meeting that there is no money in Mayor Faulconer’s budget for the OB Library or for the OB Lifeguard station – both of which need expansion, replacement and / or repairs. Conrad Wear announced to the people assembled in the audience that despite his boss’ Councilwoman Zapf’s priorities – which included the library at least – the Mayor failed to include their funding in the new City budget. The good news for OB is that the current budget does include $100,000 for the expansion of OB’s firestation. This will be added to an already waiting fund of $400,000 Councilwoman Zapf’s rep told the crowd at the OB Town Council meeting, which will be spent expanding and improving the living quarters for the firefighters and paramedics who work at the station. Plus there is now additional funding for the OB Recreation Center, which will be open an additional 15 hours a week. These hours were eliminated back in the days of Mayor Sanders’ reign of budget slashings of libraries and rec centers. Teeters is calling all artisans, chocolate aficionados and ethical business minded to come expand your world… Join them for their last party before the festival and get a TASTE of CacaoFest! facebook – it’s all at Teeter in Ocean Beach, Thursday April 23, 6PM-10PM, and $10 at the door includes first drink and a raffle ticket. *Live Music* by: Key of Bri, Jesus Gonzalez…Gabriela y La Buena Onda duo, plus *AcroYoga Performance* by:Jordan Zachary Randall and Gina Shiotani; *Organic Taco Bar*. *Fair Trade Wine*, *Chocolate Treats* by: Achocolypse Sarah Bella Mondragon, *Live Painting* by: Angel Franquez and Hill Young. The owner of the new winery coming in to OB at 4836 Newport Avenue addressed the crowd at a recent OB Town Council meeting to explain just what he plans to do. “It’s not a wine bar,” Keith R – a 17 year resident of OB – told the meeting, and it will have a tasting room, but it’s more. “It’s a fully functioning winery,” Keith said, “to educate the people of OB and Point Loma about wine and wine-making.” He takes possession of the property, the now-closed OB antique store, in July, and because of how long it takes grapes to mature, he made not open until November 1st, he said. I Love A Clean San Diego’s signature event, the Creek to Bay Cleanup, will host more than 100 inland and coastal cleanup sites simultaneously throughout San Diego County. The event, reaching from Oceanside to San Ysidro as well as Ocean Beach to Alpine, hopes to engage more than 6,000 volunteers to protect and enhance the local environment. The majority of trash originates at inland sources and for that reason, the clean-up will focuses much of its efforts and cleanup sites inland (81 sites), while still maintaining a strong presence along the coast (25 sites). Volunteers of all ages are encouraged to participate in this one-day clean sweep, happening Saturday, April 25 from 9 a.m. to 12 noon. Registration is now open for the 13th Annual Creek to Bay Cleanup. To learn more information about the cleanup and sign up online, visit www.CreektoBay.org. Join the Point Loma OB Democratic Club to learn more about the current state of medical marijuana regulation in California, and how marijuana access is being implemented in San Diego City, as well as the current state of medical marijuana collective licensing in City Council District 2. The Club will hold a round table presentation that will include patient advocates, legal experts and a representative of one of the first medical marijuana collectives to be licensed in the City of San Diego, right here in District 2. It will be 4:00PM – 5:30PM at the Point Loma Assembly, 3035 Talbot St, San Diego, CA 92106; for additional info call (619) 800-5098. Terrie Best, the current chair of the San Diego Chapter of Americans for Safe Access, and Alex Kreit, an Associate Professor at Thomas Jefferson School of Law who served as Chair of the City of San Diego’s Medical Marijuana Task Force will participate, with Cynara Velazquez as moderator. A lawyer and grassroots activist, Frank Gormlie will give a short talk to explain how together with the OB Rag and San Diego Free Press we can strengthen and grow our progressive voice on the peninsula. Travis Pritchard and Jamie Hampton were stalking water waste through the streets of Point Loma around 7 a.m. on a recent Friday. They drove … find the source of a big puddle by following its trickling gutter trail. … “The entire gutter system was filled with water,” Hampton added with a laugh. Pritchard, a water quality lab manager for the environmental group San Diego Coastkeeper, said he’s out scouring the streets for water waste because the city isn’t. For more – KPBS. The Newport Ave Antique store has NOT closed yet as you have reported. It’s open till the end of May I believe. We just got an amazing deal on a display cabinet there. Ah… thanks OB Mercy – made the correction.